Anastasia's playful elegance adds sophistication and charm to any exterior. 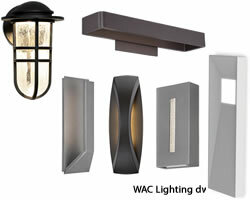 This Outdoor Collection is available in Textured Matte Black or Walnut finish. finish. Clear hammered glass is included with all finishes. Dimensions: 9.5" Width x 17" Height x 10.5" ext. 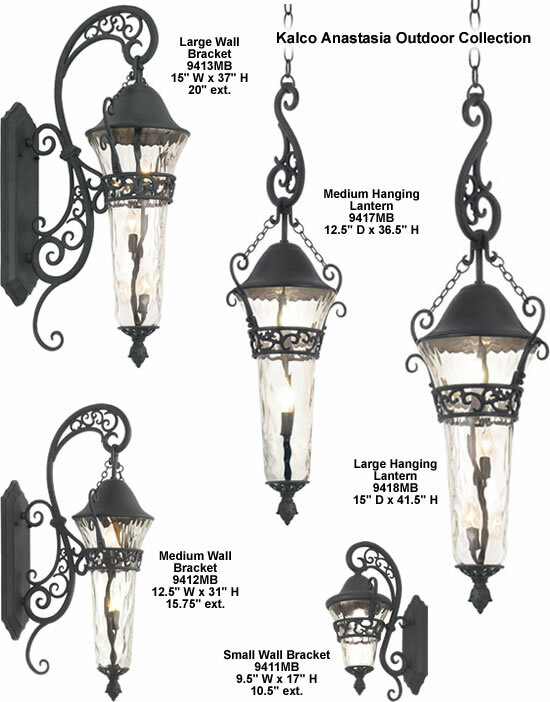 Whimsical Large Wall Bracket The Anastasia Outdoor collection combines eye-catching Art Nouveau scrollwork with traditional lantern design. The delicate curves of this design are highlighted by Kalco's exclusive Outdoor finishes and our Clear Hammered Glass creates a flickering effect to the eletric lights. 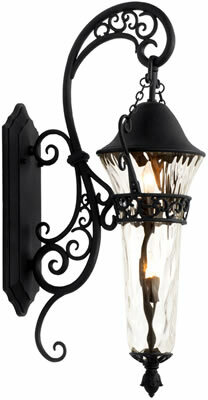 This combination is sure to add a touch of whimsical elegance to any outdoor space. 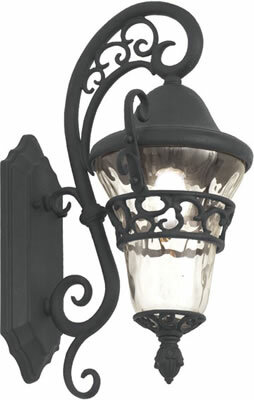 Whimsical Medium Hanging Lantern The Anastasia Outdoor collection combines eye-catching Art Nouveau scrollwork with traditional lantern design. The delicate curves of this design are highlighted by Kalco's exclusive Outdoor finishes and our Clear Hammered Glass creates a flickering effect to the eletric lights. 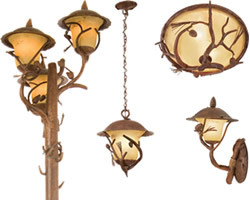 This combination is sure to add a touch of whimsical elegance to any outdoor space. 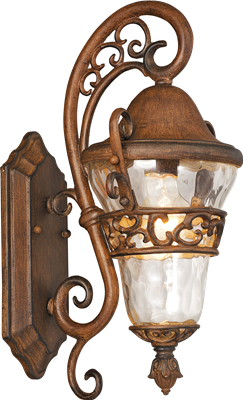 Whimsical Large Post Mount The Anastasia Outdoor collection combines eye-catching Art Nouveau scrollwork with traditional lantern design. 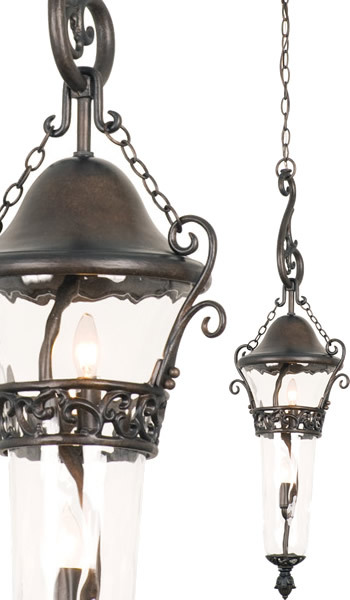 The delicate curves of this design are highlighted by Kalco's exclusive Outdoor finishes and our Clear Hammered Glass creates a flickering effect to the eletric lights. 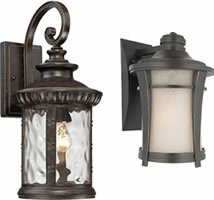 This combination is sure to add a touch of whimsical elegance to any outdoor space.